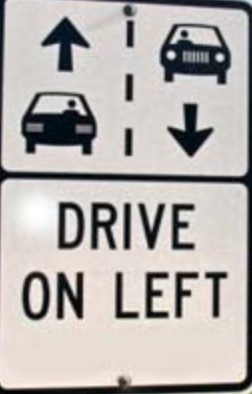 When it comes to driving in Australia, left is right. The steering wheel is on the right and you drive on the left. Even the turn signal and windshield wipers are on opposite sides from cars driven in America. So when I drove in Sydney for the first time, you can bet your bottom dollar that every time I wanted to turn, my wipers were going at full speed and the other drivers had no clue where I was headed. And don’t worry, because the roads are extra narrow for extra panic attacks. And look for a blog on the rest of our time at Luna Park tomorrow! Ferris Wheels, Crazy Clowns and a DANCE PARTY! Funny, where right is wrong!! Nice post Jessica. And for those wondering how to drive in Au, here is how to apply and process a drivers license the right way.